Today Mellanox announced record applications performance for its Connect-IB FDR 56Gb/s InfiniBand adapters. 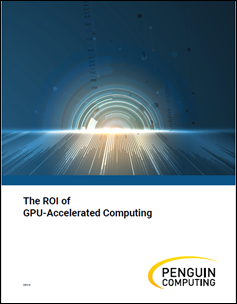 Benchmarks performed on multiple applications, such as WIEN2k, a quantum mechanical simulation software, and WRF, a Weather Research and Forecasting simulation software, demonstrated higher performance of up to 200 percent with forty compute nodes compared to competition’s QDR 40Gb/s InfiniBand solutions. Available today, Mellanox’s FDR 56Gb/s InfiniBand solution includes ConnectX-3 and Connect-IB adapter cards, SwitchX-2 based switches (from 12-port to 648-port), fiber and copper cables, and ScalableHPC accelerator and management software. Mellanox will demonstrate these performance advantages at the Supercomputing Conference (SC’13). Mellanox will showcase its interconnect technologies all this week at SC13, booth #2722.